Sleeping for only four hours, I woke up at 8 morning to catch the shuttle bus of Resorts World Genting at the KL Sentral. Since the sun is up and the i assumed that the weather is as humid as what we have in the Philippines, I decided to wear shorts. Edward’s housemate asked me if i am sure with my outfit. I said yes since it is an outdoor theme park and I can tolerate the indoor coldness just in case. 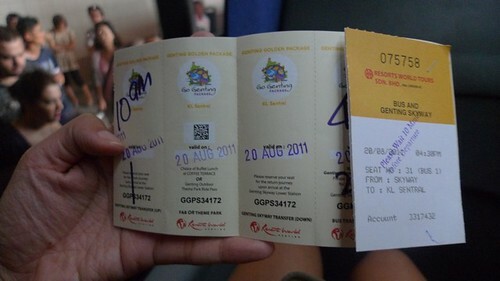 So we went to KL Sentral to take the shuttle bus to Genting Highlands. 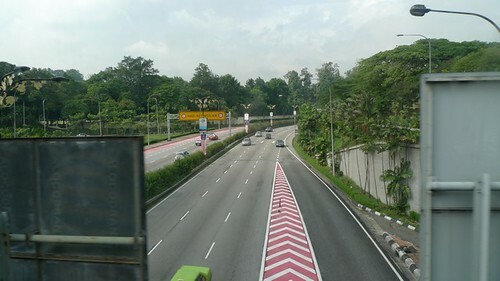 I noticed that just like in the United Kingdom, Malaysia adapted the scheduled transpo time unlike here in the Philippines where you can ride a bus whenever you want to. We were able to take a good seat and I enjoyed the scenery as we go to our destination. After 40 minutes or so, we arrived at the destination. 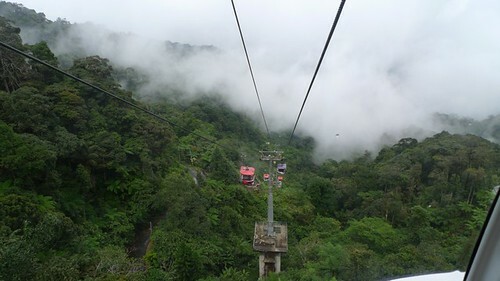 Wow, it’s freakin’ cold, but i’m excited to ride in the Genting Highlands Skyway. 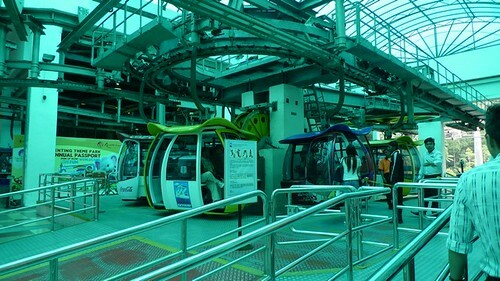 If i remember it right, my last cable car experience was way back in 1994 in Hongkong with my parents. Fun times. ‘So, how long will this ride take? Five minutes?’ I asked Edward. ‘Most probably 15 to 20 minutes’ he replied. OMG LOL. I then found out that the Genting Highlands Skyway is the longest cable car service in Southeast Asia! It is also considered as one of the fastest in the world. Nice. There’s also a Korean couple who rode with us and even if i don’t really understand what they’re saying, it seems like they were really impressed with the foggy scenery. 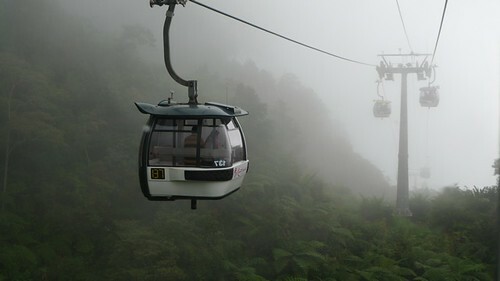 Then we cable car went higher and higher and oh, hello fog! I started to shiver. I’m glad i brought my scarf with me but it isn’t enough since it’s a thin one 0_0. I recorded a funny video of me worried about the fog. I am officially dependent to Edward on this trip and imagine the relief when he mentioned that there are clothes for sale within the area. Whew! We’re here! Tourists of different walks of life and nationalities are roaming around. We then looked for a place where we can eat brunch. So funny how we went to different spots. I would have loved that cable car. We’re planning a trip back in December and I am adding this to the list. You look so cute all cold! I really enjoyed the cold weather in the Cameron Highlands. It felt amazing after all the heat of KL! Thanks Mica! 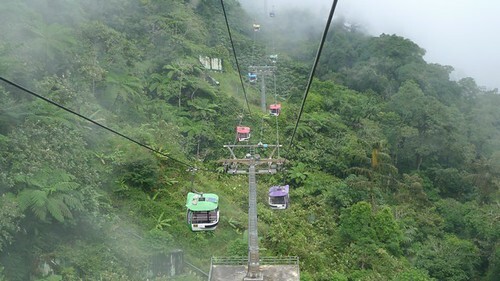 😀 You should go to Genting it is a fun place and i felt like a kid again 😀 Now i’m curious about Cameron Highlands. At naka-shorts ka talaga! Kaya siguro sumama pakiramdam mo dahil sa lamig at pagod! 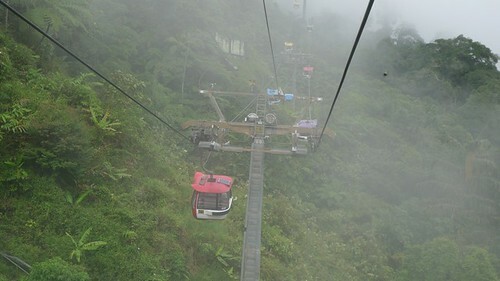 Huli kong punta sa Genting sobrang foggy din at ang lamig pero ang sarap sumakay sa cable car. I need to get on that cable car one day. It must be a great experience riding it! 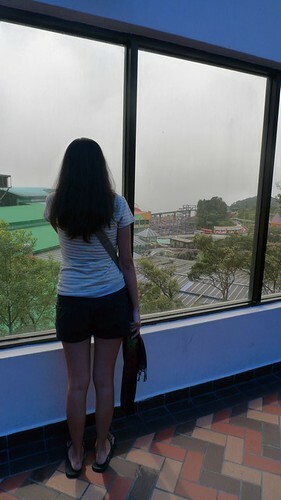 Grabe you survived Genting ng naka-shorts! Di ako tatalab ng ganun ang outfit at medyo lamigin ako. 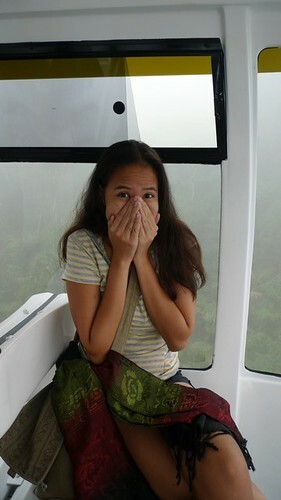 Gusto ko uling sumakay sa cable car, very memorable din ang Genting experience ko. Have a fun trip Mica! Glad I survived! Hehe 😀 Babalik sana ako nung weekend, pero hindi na kinaya ng sked.